Despite frequent articles from journalists of the legacy media suggesting there could be a referendum as soon as June 2016, the Electoral Commission has made it perfectly clear (page 17) this cannot be possible as ten months must elapse between Royal Assent of the Referendum Bill and the poll. The Electoral Commission recommends a six-month gap between passing of the law and the start of the referendum campaign. If then the referendum campaign includes designation, the combined campaign period would need to be four months, (page 6). Four months plus the six-month gap gives us the ten months. With the Referendum Bill unlikely to receive Royal Assent before Christmas and the recommendation of a ten month window, as highlighted by this blog and EU Referendum, all but rules out a 2016 poll and certainly it rules out a June 2016 poll. The Electoral Commission is a statutory body and thus its recommendations can be subject to judicial review. Recommendations have to be taken seriously as evident by its statutory advice over the referendum question change. The lack of reference to the Electoral Commission's recommendations by the UK media does bring into question its integrity and its less than candid nature. Yet in addition to the Electoral Commission recommendations, another factor comes into play regarding a June 2016 referendum and it is one which has a more political significance than a legal one. 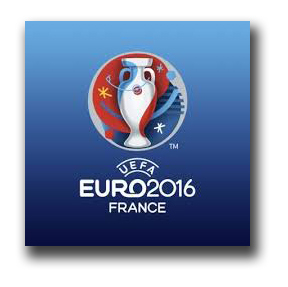 June 2016 is when UEFA is hosting its football championships in France. The draw, which involved three of the four Home Nations was made on Saturday, where one of the fixtures will be England versus Wales. Here then we will have a month of football in European wide tournament held in France - an EU member state which is a crucial and pivotal part of the EU. With media build up to a tournament involving England it would seem inconceivable that Cameron is going to dump a referendum on the UK during a month long celebration of football particularly when a significant number of the electorate will have priorities more focused in a warm month on football, beer and barbecues. A referendum held in these circumstances would almost certainly impact on turnout, and the results could be heavily influenced by how successful, or indeed not, the Home Nations performed during the tournament. Cameron would not want the referendum result to be influenced on the uncertainties of the mood of the nation over the fortunes of the unpredictability of football. The sharp rise in nationalist support, which registered in the first of the two general elections of 1974, prompted the Labour Prime Minister, Harold Wilson, to make a commitment to devolution. On June 22 Labour's Scottish executive met to ratify the Downing Street proposals on devolution. Unfortunately this was also the day of the Scotland V Yugoslavia World Cup football match and only 11 members turned up. Most of those who stayed away to watch the football were pro-devolution. This gave the anti-devolutionists their chance to throw out the proposals. Perhaps learning the lesson we see four years later, in 1978, that the Hamilton by-election was moved to Wednesday 31st May 1978 as the opening game of the 1978 World Cup was on the Thursday 1st June. This was the last time a by-election was not held on a Thursday. In addition to Euro 2016, we see that a month later in August the 2016 Olympic games will be held in Brazil (and the Paralympics in September). Following on from a media narrative on how England and the other Home Nations have conducted themselves, attention will then turn to the Olympics with the lead up consisting of headlines of variations on the obligatory theme of whether the stadia and infrastructure has been built yet. 2016 will be a summer of sport. With a Prime Minister having such a weak hand in terms of his EU referendum it's very unlikely he is going to risk having his message overwhelmed by a narrative concerned with other priorities.